Provide Employees with Informational Materials Detailing the Signs of Diminished Capacity and Financial Exploitation. In addition to developing training programs and policies and procedures designed to identify senior and other vulnerable customers and clients, firms should also develop training programs, policies, and procedures designed to detect potential financial exploitation. 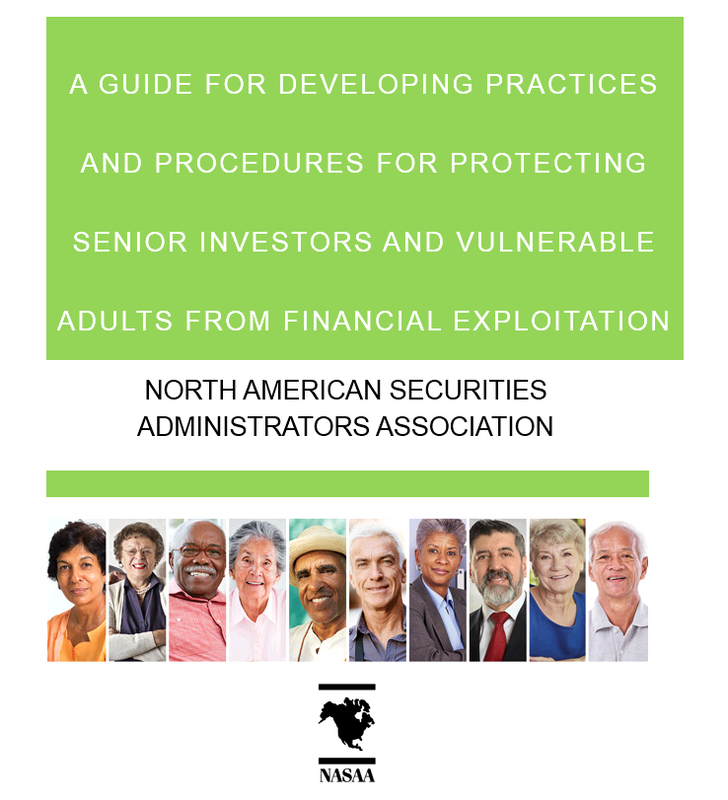 Existing state law and the NASAA Model Act define financial exploitation and provide broker-dealers and investment advisers with certain obligations and tools that can be deployed to help prevent losses resulting from exploitation. Uncharacteristic and repeated cash withdrawals or wire transfers. Appearing with new and unknown associates, friends, or relatives. Uncharacteristic nervousness or anxiety when visiting the office or conducting. telephonic transactions. Lacking knowledge about his or her financial status. Having difficulty speaking directly with the client or customer without interference by others. Unexplained or unusual excitement about an unexplained or unusual windfall; reluctance to discuss details. Sudden changes to financial documents such as powers of attorney, account beneficiaries, wills, or trusts. Large, atypical withdrawals or closing of accounts without regard to penalties.